Scotty H. Captures: Free photos, no. Cheap photos, maybe. But please just use the shopping cart! Free photos, no. Cheap photos, maybe. But please just use the shopping cart! "Hello. Are your photos for sale in a book? I want to paint a series of semi-abstract pictures of landscapes. Am I allowed to use them as source material? I do NOT want to print them or reproduce them. They are beautiful ." As soon as you see compliments like this you just know that there's a fair chance that someone wants something for nothing. But being a bit more charitable on such requests than many photographers, I replied and said "that's fine". I said nothing about downloading, the images on the screen being quite clear and as large as they might be in a book. In comes another email - obviously the 'customer' assuming it was going to be read by someone else. 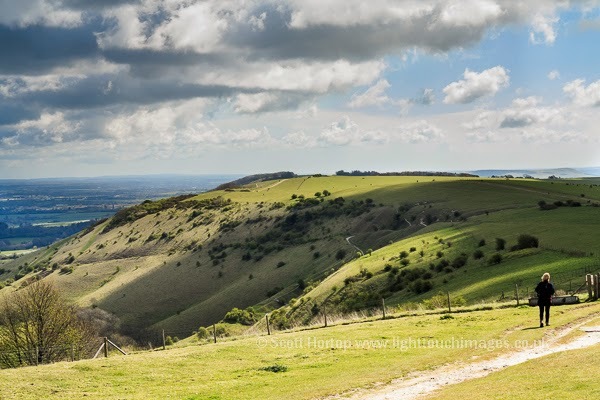 "Hi, I have contacted Scott H, and he has contacted me by email and has given his permission for me to download these photos of the south downs." Smelling rat faeces, my response was curt: "I was merely commenting on use. If you need more detail then you’ll have to use the download mechanism which requires payment." "I can't afford the download fees. I need prints so I can work from small details." WELL DO WHAT MOST GOOD ARTISTS DO, USE YOUR OWN TIME AND PETROL AND CLIMB THE xxxx!$! MOUNTAIN! But the real surprise in all this came within minutes. Another separate inquiry ON THE SAME PHOTO and referencing usage AGAIN of a whole bunch of my South Downs photos. "We are a marketing agency based in Chichester and we are currently working on an identity project for a new client. They have several offices around the south downs and it is a professional services firm." Blah, blah, .... "We have a meeting with the client in 2 weeks time and need to present ideas and costs to them at this point. I wonder if you would be kind enough to come back to me with costs and terms of using your work for this purpose." Now I still can't be certain of a connection with the other inquiry but nothing remotely as coincidental as this has happened before. Same image out of thousands. Same collection out of hundreds. Almost at the same time. Nevertheless I employed restraint and dealt with the request just as I might any other. However I pushed them a little harder then most towards the automated delivery to avoid admin and collection issues which frankly I might expect to arise given the suspicious communications. "All this assumes purchase by debit or credit card through the automated mechanism on the site." ie Use the shopping cart!!! You do that and you save money - and there is the side effect of saving me having to try to figure out whether your intention is to get photos cheaper, free or dishonestly.